PennsylvAsia: Mob Psycho 100 (モブサイコ100) Season 2 premiere, January 5. 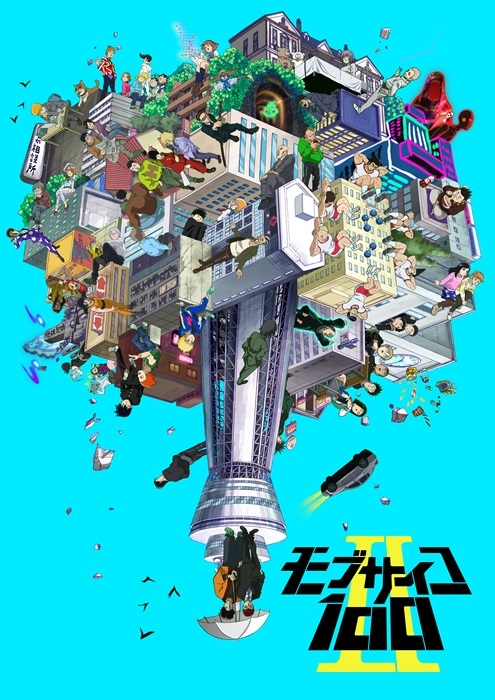 Mob Psycho 100 (モブサイコ100) Season 2 premiere, January 5. The premiere of Mob Psycho 100 (モブサイコ100)'s Season 2 will play in Pittsburgh on January 10 January 5. We have read your minds and we know you want more Mob Psycho 100! To get you prepared for Season 2, we will have an exclusive first look at Episode 1 from Season 2 before it premieres in Japan! If you have not had a chance to get caught up on Mob’s story as a powerful esper, we will also show the OVA which recaps the first season from Reigen’s perspective. This premiere event will also feature an exclusive welcome from Setsuo Ito, voice of Mob. It will play in Japanese with English subtitles at Southside Works Cinema and the Cinemark theaters in Monroeville and Pittsburgh Mills. Tickets are available online.